This Is Us season 3 has really put fans through the ringer, especially if they're invested in Beth and Randall's marriage. After a separation scare in the midseason finale, we worried the power couple was headed for the skids. And while they seemed to have worked things out, we're back on uneasy footing as the season heads to a close. Could the writers again be signaling a possible divorce for Beth and Randall? At the end of last week's episode, things looked very bad for the couple, who is struggling to make room for both their dreams while keeping status quo as much as possible for their three daughters — especially Deja, who has gone through so much turmoil in her life and is just finally arriving at a feeling of normalcy. Randall said some things he regretted on Beth's voicemail, and the episode ended with them closing the bedroom door as if prepared for a major shouting match. 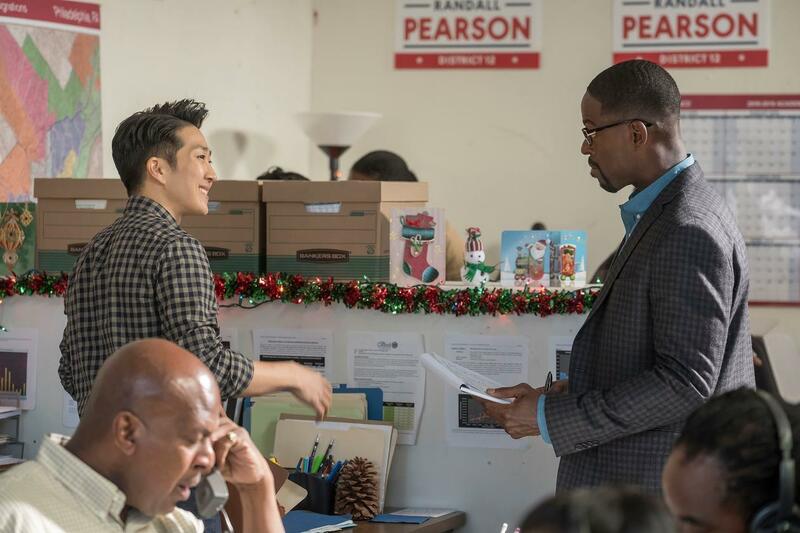 But Sterling K. Brown has an overwhelmingly positive outlook on what's to come for these two. "We wanted them to have a relationship that was worth of the #Goals that people put in front of us, but also have it be earned," he tells E! News. "And by that what I mean is you have to see people go through something and hopefully make it through to the other side. That's the relationship you want to aspire to be. It's not going to be peaches and ice cream all the time, but if you can actually go through something, come out on the other side and love each other even more, that's goal worthy in my opinion." Real couples fight and say things they wish they hadn't. And most long-term relationships, even the best ones, reach multiple breaking points where they have to commit to staying the course. read on for more clues that this pair is still 100 percent unbreakable. What did we say? There's nothing that can break the bond between Randall and Beth. 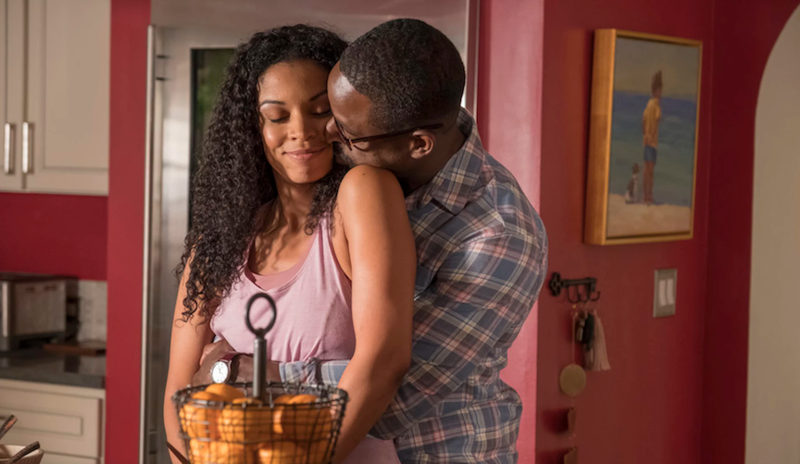 And if you had any worry Randall and Beth on This Is Us were headed to divorce, the 2019 winter premiere likely sunk it. The second half of Season 3 kicked off with the same uncertainty we felt in 2018, but the power couple worked through their rough patch. "The Last Seven Weeks" appropriately spanned the seven weeks between Randall's exile to the couch (aka the midseason cliffhanger) and election night. During this condensed period, we saw him struggling with his desire to be a great man and his need to be a good man, and worrying ambition had made him lose sight of what's important. At the same time, Beth came to realize she fell in love with Randall because he never gives up, even when confronted with a near impossible task. So, by fighting him on seeing the election through, she was asking him to go against his nature. It's a good thing these two made up, because they have a tough road ahead. Why? Because, despite the odds — and without deploying the dirt his campaign manager Jae-won dug up on the incumbent, Councilman Sol Brown — Randall won the election. I think they've got this, though. If you need further convincing, read on for four reasons we are certain these two are solid as a rock. The midseason finale of This Is Us on November 27 left a lot of questions about the characters' futures — like a possible Beth-Randall divorce — while providing (in classic This Is Us fashion) very minimal clarity on other hints dropped throughout the last season. The last episode before the show's return in January teaches us that Rebecca is most likely the mysterious "her" that future Randall and Tess plan to visit, leaving fans wondering whether the mom of the Big Three is maybe, potentially... dying? We also learn that Nicky probably faked his death in Vietnam and is somehow still alive and kicking REALLY CLOSE to the East Coast cohort in Pennsylvania. Most shockingly of all, we are left completely hanging when it comes to #relationshipgoals couple Beth and Randall. They find out Randall pretty much has zero chance of winning the race for city council, while their eldest daughter reveals she's grappling with her sexuality. Beth asks him to drop out, and the couple has an explosive fight when Randall is adamant he needs to see it through —even though he had promised he would quit if at any time Beth had reservations. Beth kicks Randall out of their bed and onto the couch, leading fans to wonder whether the iconic duo is headed toward a divorce. A brief flash-forward at the end of the episode supports this theory somewhat when it shows Randall asking adult Tess to communicate to her mom the fact that they're heading to the hospital. 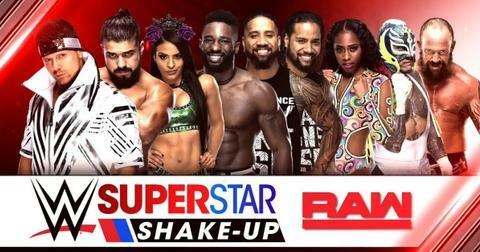 And fans are understandably freaking out about what this might mean. "Not to be dramatic but, if Beth and Randall, a fictional couple that only exists from 9-10pm on Tuesday nights on NBC can’t make it, there’s no hope for the rest of us. Stop looking for love. Love is dead," writes one die-hard. Another chimed in with "hate to break it to you but if Beth and Randall are going to separate in the future over something, there's no way the rest of us are going to find true love, so there's no use even trying." But we don't really think they're all that doomed, and that fans can relax after all. Below are four compelling reasons we're convinced Beth and Randall will not be getting divorced. 1. Randall is still wearing his ring in the S3E1 flash-forward. One incredibly astute viewer picked up on the fact that Randall is actually wearing his wedding band when he and Tess are on their way to the hospital, just not in the glimpse we see during the midseason finale. 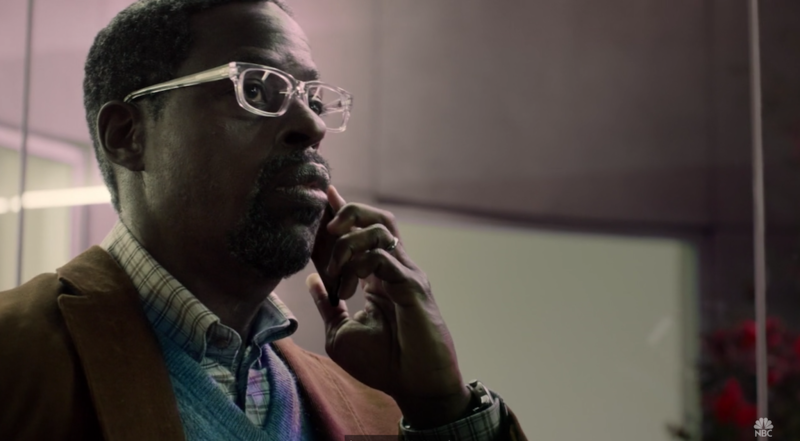 In the first episode of the season, when we're introduced for the first time to the future characters making a hospital visit to see "her," he's wearing his ring when he phones Toby. "When Randall calls Toby he is wearing HIS RING! I’m taking this as a sign. Idc. Idc," the user writes on Twitter. Unless twenty years isn't enough time to get over Beth, or unless he remarries by then (What! I'm blowing my own mind with this theory), this feels like a rock-solid hint that the two will remain OK.
Plus, someone on Reddit points out that the ring looks identical to the one he's wearing when he reviews flashcards with Annie. Phew, thank you internet. 2. Sterling K. Brown has always said Beth and Randall would end up just fine. In addition to this promising tweet from Season 2 days, Sterling K. Brown opened up to TVLine back in September and alluded to the break between his character and Beth. "There’ll be some difficulty between them regarding their marriage. Randall makes some choices that his wife supports but not necessarily endorses, with regard to a career opportunity," Sterling said back then. Then he dropped this reassuring doozy: "This is a marriage that works, so they will come back together." Sterling, are you supposed to be dropping these spoilers with press? Isn't there some sort of NDA that covers that? Either way, we're not mad. 3. Susan Kelechi Watson sent out a cryptic tweet that implies they'll be solid. Two hours after the midseason finale dropped on the East Coast, the actress behind Beth tweeted side-by-side images of her being upset and then totally swooning over Randall. 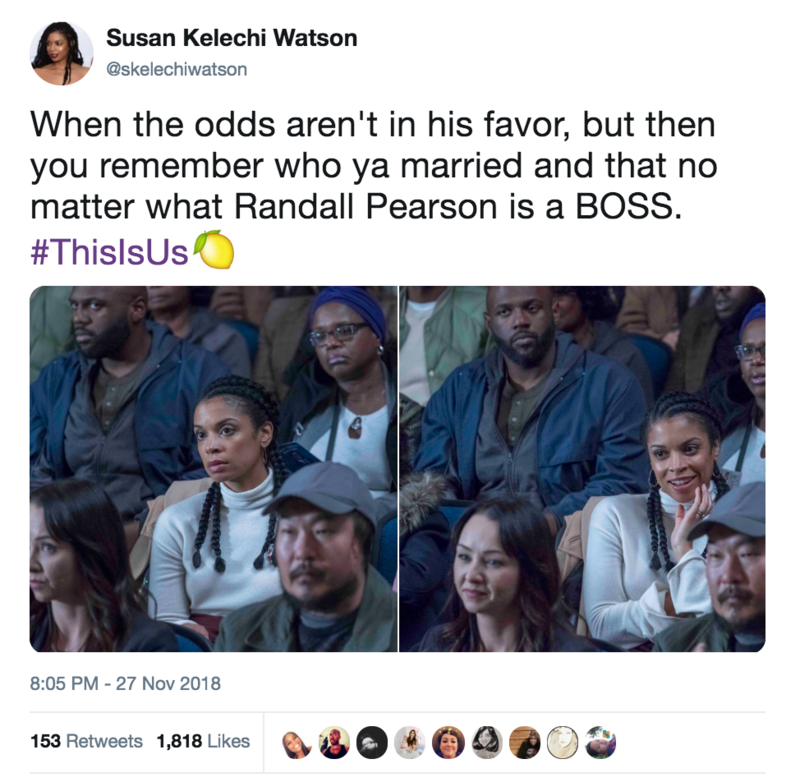 She writes "When the odds aren't in his favor, but then you remember who ya married and that no matter what Randall Pearson is a BOSS" alongside these choice images. I'm pretty convinced this means they'll end up totally OK, and they're just having a big argument they'll get over. 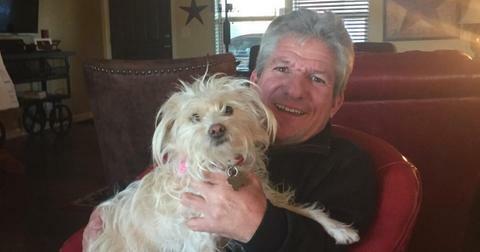 In other words, I don't think this is the end — Randall is just in the doghouse. 4. Creator Dan Fogelman suggests the question is when, not if, they'll get back together. Following the midseason finale, This Is Us creator Dan Fogelman opened up to Entertainment Weekly about our burning questions. Most notably, he pretty much implied Beth and Randall will be fine, but that this fight will be a big plot point when the show returns in January. "There’s no marriage that is without spells, and in the back half of this season, Sterling and Susan are getting a showcase to really dive deep into a relationship and a marriage that I’m very excited about," he said in the interview. Then, he pointedly mentions how he "would never put money against Randall and Beth, as a betting man." Well, that matter seems settled. See for yourself what happens with Randall, Beth, and all the other characters when This Is Us returns to NBC on January 15 at 9PM.